FINALLY we were able to finish distilling the Helichrysum yesterday and now will start on the fields of Grosso lavender. This process will take a couple of weeks working about 8-10 hours a day. It’s really kind of fun as the visitors to the farm get a chance to see where the essential oil comes from and the process it takes to get it. Typically, we will get about 40-60 pounds of lavender oil but this year it may be less as we took out some mature plants this past spring and replaced them with new, smaller ones. After getting married last Friday, Rosalind and I took our new camper to a remote section of Eastern Washington for a two day honeymoon. The weather was wonderful and we had a little lake all to ourselves. We’ll be able to travel more this fall when all the distilling is finished. My friend,Dennice, provided the photo on today’s blog…pretty gorgeous pic of the farm, huh? pls. I need information about a press machine for plants. I discovered this wonderful website by chance. 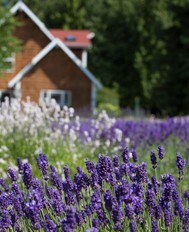 Was searching for my favourite lavender and I came across this gorgeous site. Wow!!! I wish I was closeby and not in another country(South Africa) so I could pop over for a visit but I will keep this in mind when I decide to go on vacation. 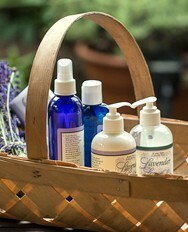 I absolutely adore lavender- french lavender in particular. 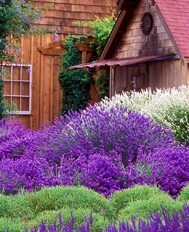 I have them in my garden , my kitchen theme is lavender, have linen etc etc…. Your farm looks fabulous, I wish all much success in your venture. Gosh I would love to live on this farm.